The greater the inspiration greater is the strength of the legends. The Rudranath Temple is the prime example of the legend turned into reality. The temple is part of the Panch Kedar circuit. The legend behind the emergence of Rudranath Temple is very engaging. The story dates back to the timeframe of the great Indian mythological epic, the Mahabharata. The legend tells a tale that after the end of the Kurukshetra when the Pandavas reached Lord Shiva to seek penance, the infuriated lord refused to grant them audience and fled from them in disguise of a bull. It is said that the parts of the bull represented the images of the lord and was viewed by each Pandavas in different places, later came to be known as Panch Kedar. 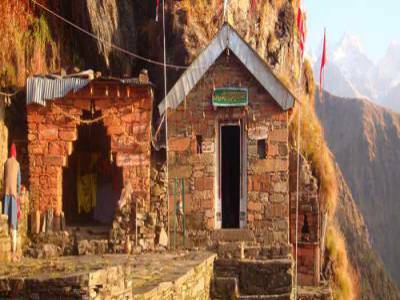 The place where Rudranath Temple stands is the site where the head of lord Shiva appeared. 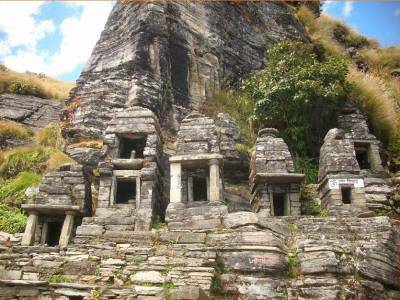 Historically speaking, the Rudranath Temple is a rock cut temple built amidst the verdant pasture of the Garhwali Himalayas. The flower laden scenic beauty and the innumerable kunds or ponds surrounding the temple makes it a traveling hotspot for both pilgrims and tourists. The Vaitarini River flowing by the Rudranath Temple is believed to be the river of salvation. 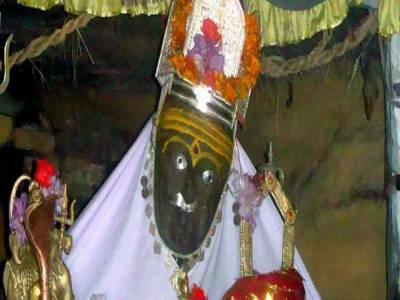 Rudranath is situated in the Bugyali region some 10,000 feet height where Lord Shiva is worshipped in statue form. The face or mukh of the Lord Shiva is mysteriously embodied on the shivling, at Rudranath Temple. 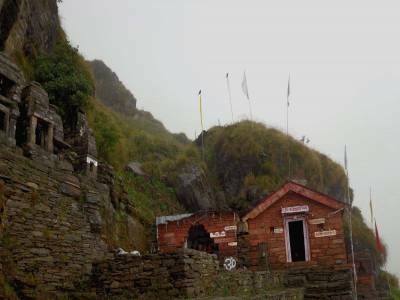 Other than being a religious place, the Rudranath is also a well-known trekking destination. The trek in Rudranath is somewhat tedious and risky but is highly rewarding. This route is not very easy, therefore tourists should get help of local guides, because there are no sign boards or signs to guide travelers on the route. 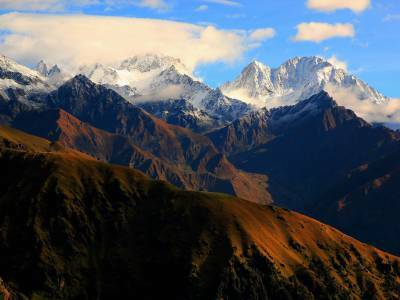 Trekking route offers awe-inspiring views of the diversified beauty of nature. The trail passes through the wild grassy meadows, the thick woodlands, scenic Lyuti Bugyal, Panar Bugyal, Surya Kund, Chandra Kund, Tara Kund, Manas Kund are offers awe-inspiring views of the Himalayas. Many temples meet on the route along the route. Who prove Uttarakhand is the "Home of Gods". Rudranath Temple Remain close November to April. Opening dates of the temple on Akshaya Tritiya between April and May - the November - temple closes for winter just after Diwali festival. Accessibility: Rudraprayag is the closest town of temple, about 210 KM away from Rishikesh, about 225 KM away from Dehradun, about 212 KM away from the nearest railhead and about 225 KM away from the nearest airport. Accommodation: There are a couples of places to stay Rudranath, you will find very basic accommodation near Rudranath maintained by the mandir committee and few home stays and no any other options to stay at Rudranath. Other options are available at Sagar, Lyuti Bugyal, Panar and Urgam which are on the route of Rudranath. Get quick answers from travelers who visit to Rudranath Temple.